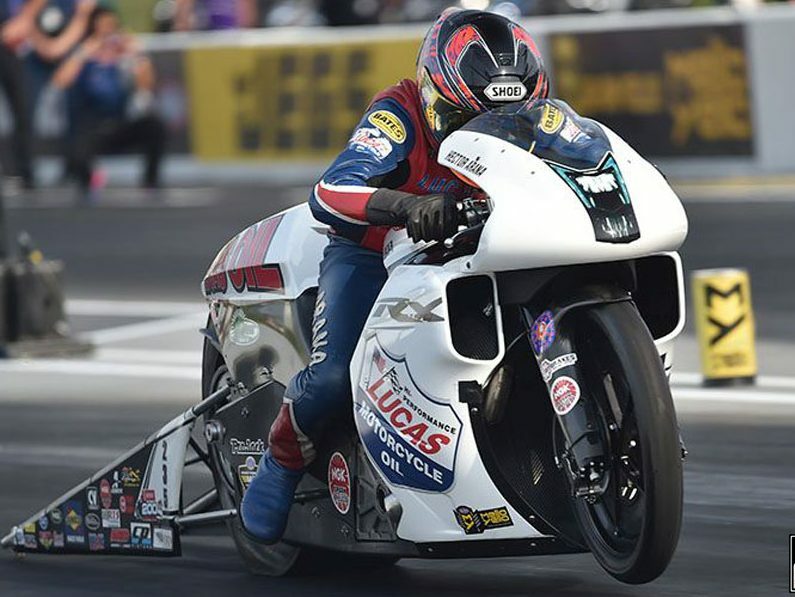 After persistent weather delays, Team Arana would comfortably put themselves in the field after the first day of qualifying for the Summit Racing Equipment NHRA Nationals. Rain would delay qualifying for several hours but the NHRA officials worked diligently to get the track ready for riders to get one lone session in. 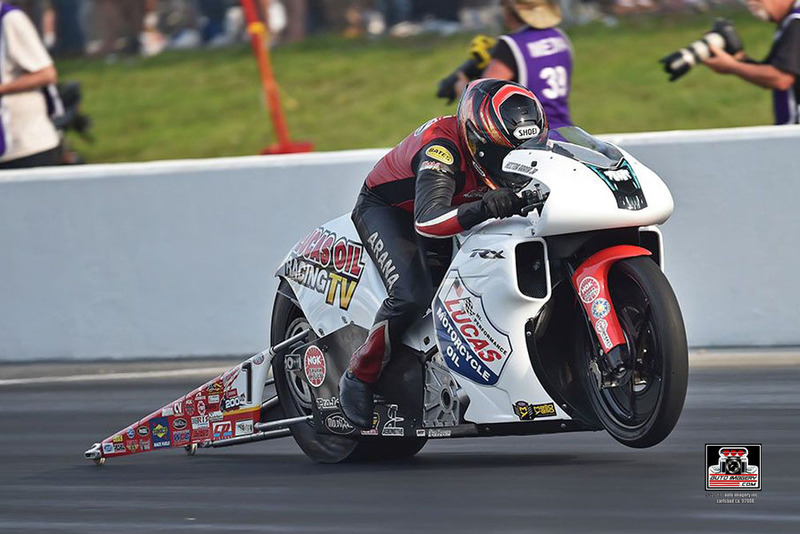 Arana Jr. would end the day in the seventh position after powering his Lucas Oil Racing TV EBR to a time of 6.938 seconds at 196.64 mph. As has been the case all season, Arana Jr. would run the fastest speed of the session. Hector Arana Sr. wasn’t far behind, slotting his Lucas Oil EBR into the 11th spot after running 6.975 seconds at 195.70 mph. Sr.’s pass would be the second fastest of the session, trailing only his son on the speed chart. Qualifying for the Summit Racing Equipment NHRA Nationals continues on Saturday, June 23rd with final eliminations on Sunday, June 24th. For tickets and information, visit NHRA.com or summitmotorsportspark.com and catch all of the action on Fox Sports 1 and Fox Sports 2. Final qualifying will air LIVE on FS1 at 1:30pm eastern time.